The 49th IBC closed in Amsterdam with record numbers of attendees (more than 55 000) coming together to discuss the challenges and opportunities that face a rapidly transforming industry. 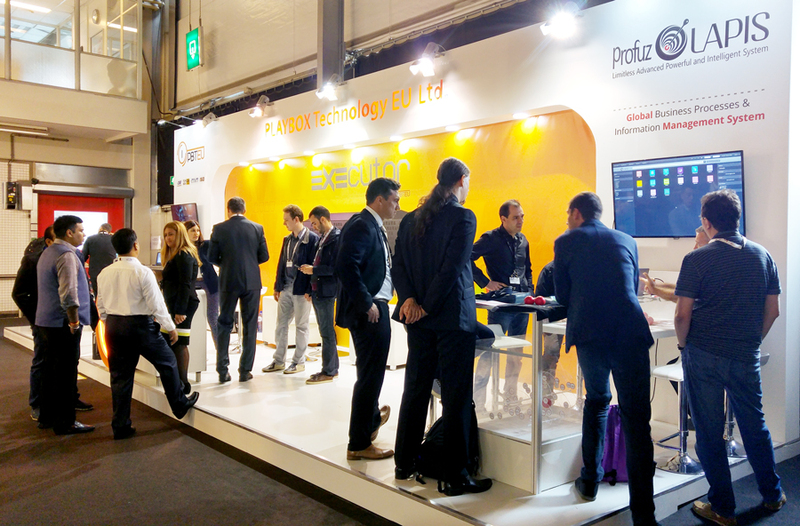 Profuz made a successful IBC2016 debut at the stand of PBTEU showcasing for the first time its new business management tool LAPIS. The groundbreaking design of the system makes it easy to seamlessly connect industry-specific tools to other areas of the business (e.g. accounting, sales, manufacturing) in order to create a single environment through which to manage all the information and processes (external or internal) within a company. LAPIS seamlessly integrates media asset management functions with editing platforms and video sharing websites. Pushing all boundaries with no limitations, it streamlines contrasting data related tasks, such as communications, project management and media management, into a single customisable “dashboard”. LAPIS effectively controls everything under one roof, ensuring dramatically increased efficiency, and removal of time-wasting manual processes. How to get a refund? © Copyright - Profuz Digital :: PLEASE READ THE TERMS OF SERVICE CAREFULLY BEFORE BROWSING OR USING THIS WEBSITE OR ANY SOFTWARE OR SERVICES. USING THIS WEBSITE INDICATES THAT YOU HAVE BOTH READ AND ACCEPTED THESE TERMS. YOU CANNOT USE THIS WEBSITE IF YOU DO NOT ACCEPT THESE TERMS.